For readers who reside in Singapore, do you remember the white cake that is snowy white in colour, sweet in taste, hard in texture but melt in your mouth and notably, wrapped in the pink paper wrapper? 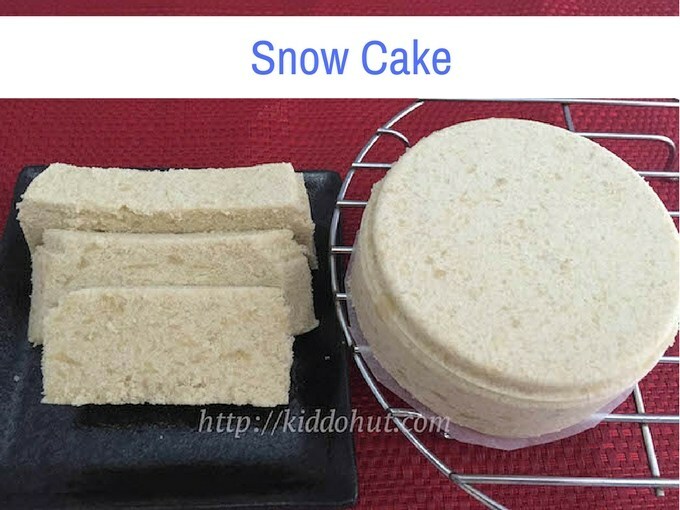 Known as Snow Cake (云片糕 ／ 书册糕), this is a rather nostalgic, and very popular snack more than 3 decades ago. Apparently, it was sold 5 or 10 cents each. It was a household snack and Chinese used that as an item for praying. This snack is known as Zhi Che Gor (书册糕) in Teochew as it looks like pages in the book from the slices. This is difficult to find nowadays. I have always wanted to buy one whenever my sweet tooth hits me but nowhere do I know it sells. Hence, it spurred me to source for the recipe and make it myself. I chanced upon this recipe in Chinese from Vivien’s Kitchen Diaries and tried making it with some modifications as I find it too sweet and heavy. You can add some black sesame or white sesame or orange peel if you like. The challenge of making this snack is the pressing and cutting. If you do not press it hard and compact enough, it is very difficult to cut and will just “disintegrate” when you cut it. It is best to cut it while it is still hot/warm when it is soft. Once it is hardened, it will “fall apart” when you try to cut it. 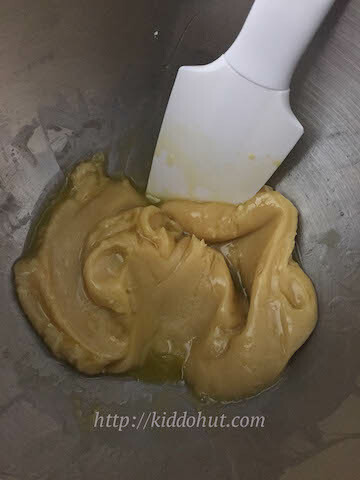 If you cannot finish the cake, you can keep it in air-tight container and steam it using steam from the water that is off heat to make it soft. But, if you like it hard, by all mean just munch it! And, best serve with a cuppa of tea or black kopi. Let’s get going and make this scholastic cake. 1. 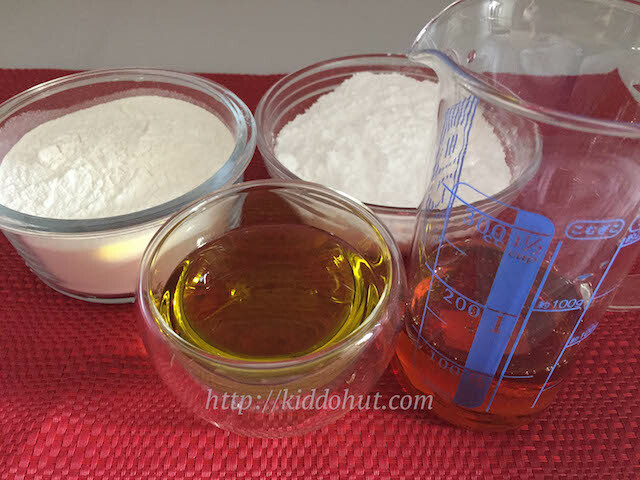 Mix icing sugar, golden syrup and oil well. 2. 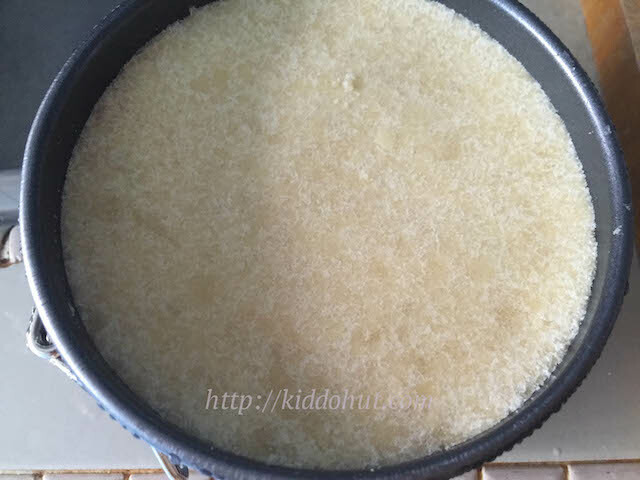 Add the cooked glutinous rice flour to the sugar syrup mixture and mix well. 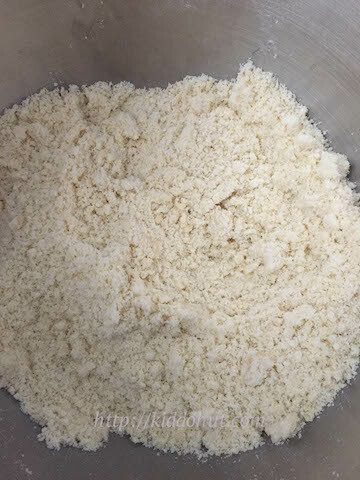 Knead until it is crumbly texture. 3. Boil the water in the steamer. 4. Put the mixture into the moulds and compress it hard (very hard) in the mould. 5. When the steamer is heated up, off heat. Put the snow cake in the steamer and let it rest for 5 minutes. 6. Remove from mould and cut it. 7. Put it back to the hot steamer (off heat) for another 5 minutes. (Skip this step if you are using smaller mould that doesn’t require cutting.) Serve. What can I substitute the golden syrup with? Sorry, I haven’t tried replacing golden syrup.